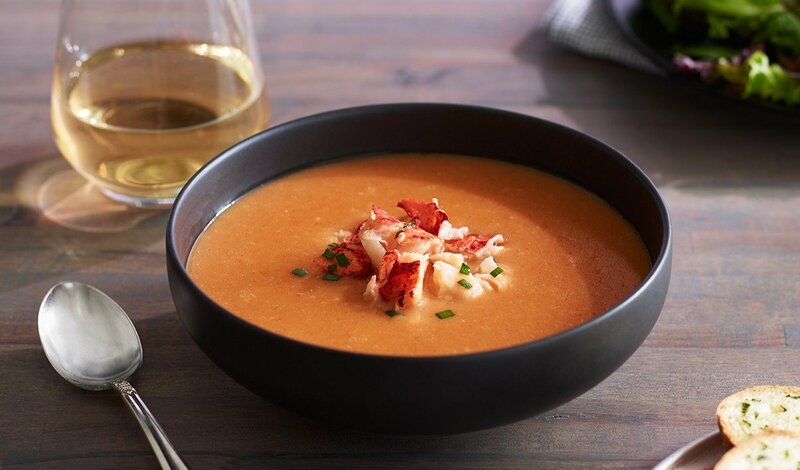 This traditional French bisque can be adapted with crab, shrimp or crayfish. Sweat the onions in the oil until tender. Add tomato paste and paprika and cook out for 3 minutes. Add sherry wine and Knorr Ultimate® Lobster Base. Simmer 2-3 minutes. Add the prepared LeGout® Cream Soup Base and bring to a simmer. Simmer for 5 minutes. Strain. Season with cayenne pepper. Garnish with chopped chives and cooked lobster meat.